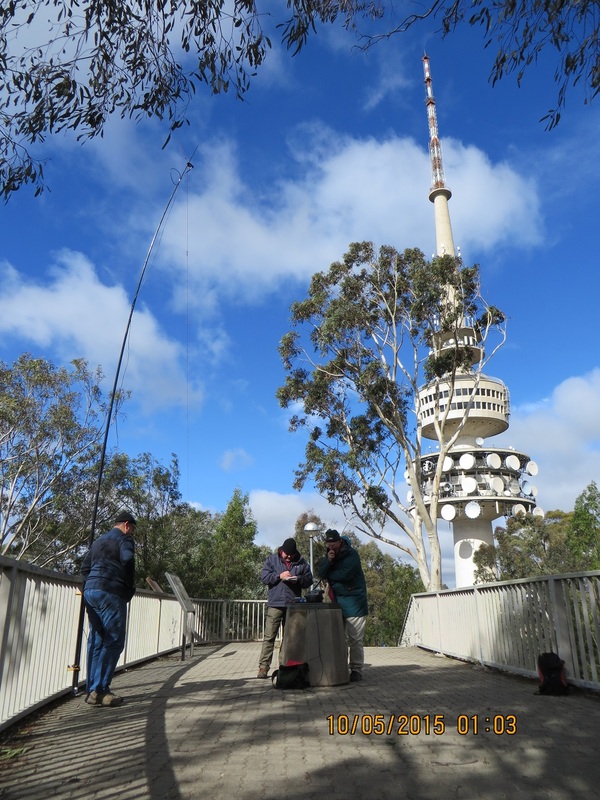 After successfully activating Mount Ainslie, VK1/AC-040, we travelled the short distance to Black Mountain, VK1/AC-042. 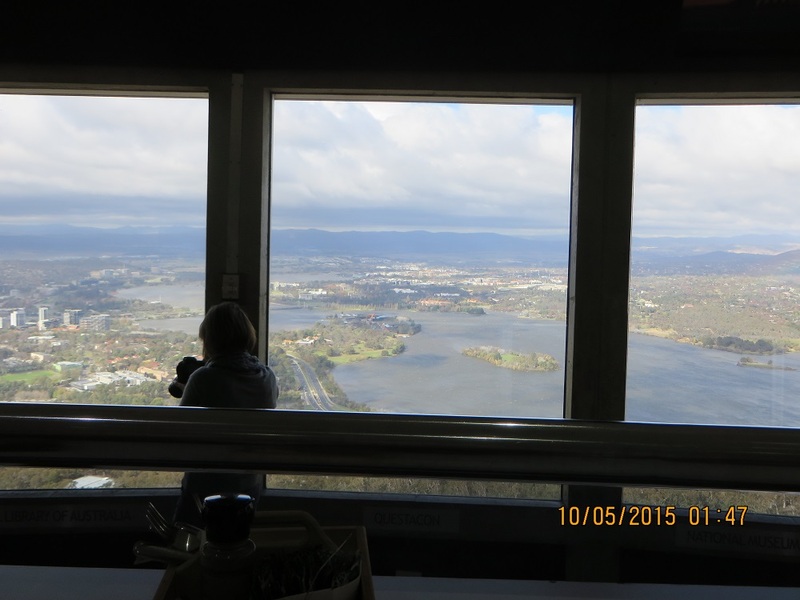 In 2010, at the 100th Anniversary AGM of the WIA we visited the Telstra Tower for an inspection and dinner later in the restaurant. This time we were looking forward to coffee! While the sun was still shining the wind was ferocious. Andrew’s squid pole came down at least twice and on one occasion the operator at the other end gave a 5 and 9 report with the squid pole erected and 5 and 2 when collapsed! We were joined by Heath, VK3TWO and his partner, Monique and we persuaded Heath he should join the activation as well. Despite the weather we successfully activated the Peak and also gain a six metre contact. 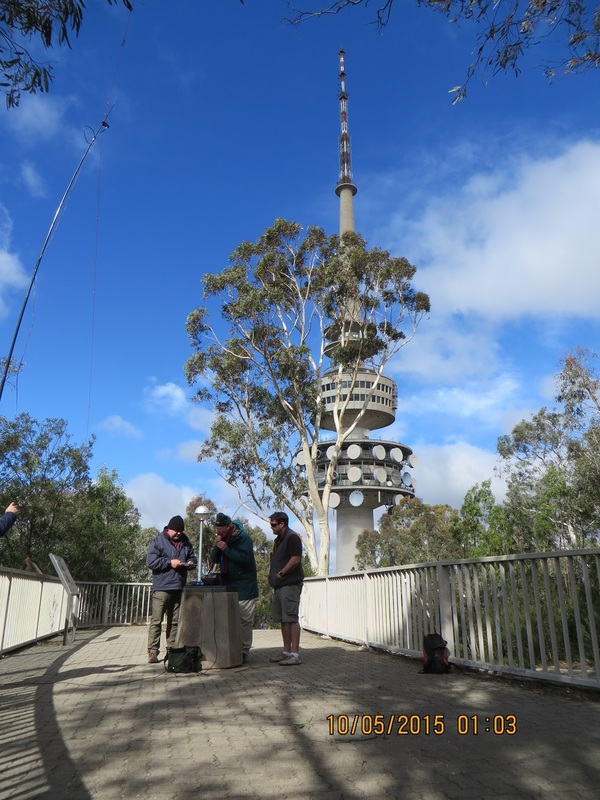 After contacting VK1DI, Ian on 40 metres, he agreed to migrate to six metres and we all contacted him on 52.200 ssb. The six metre contact was a first for me portable and Paul and I both resolved to make dipoles for this band. At last, coffee in the tower restaurant! Here is a link to a video taken by Andrew, VK1NAM/P1 of the activation on Black Mountain.